The stone towers supported the cables of the 1860 bridge. The cement pier bore the spans of the 1914 steel structure. The present bridge (1976) is named for jockey Ron Turcotte. It is 83.5 m long and 42.4 m above the river. Les piliers de pierre ont porté le câbles du pont de 1860. 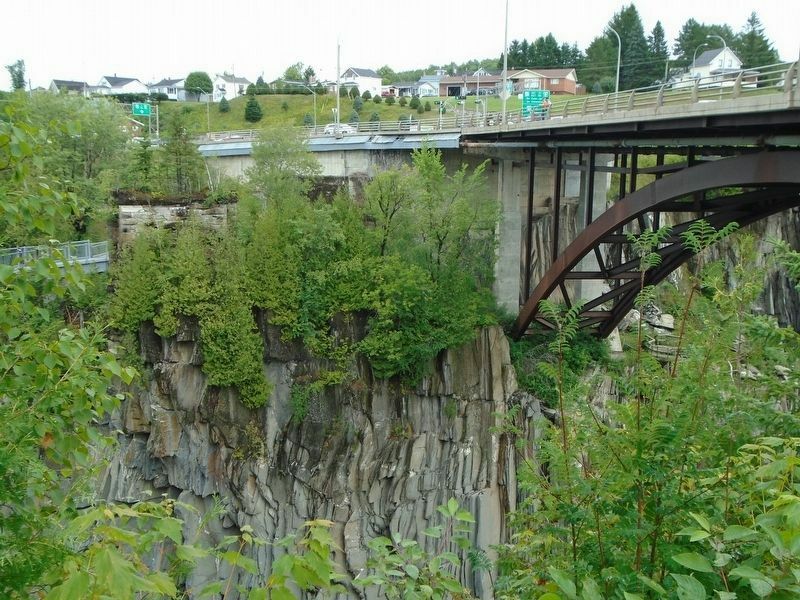 Le pilier de ciment supportait le pont a'acier de 1914. 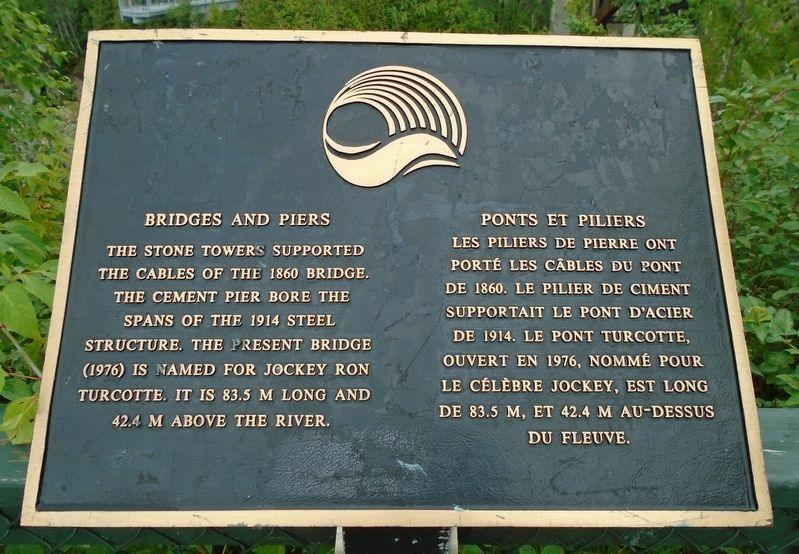 Le pont Turcotte, ouvert en 1976, nommé pour le célèbre jockey, est long de 83.5 m, et 42.4 m au-dessus de fleuve. Location. 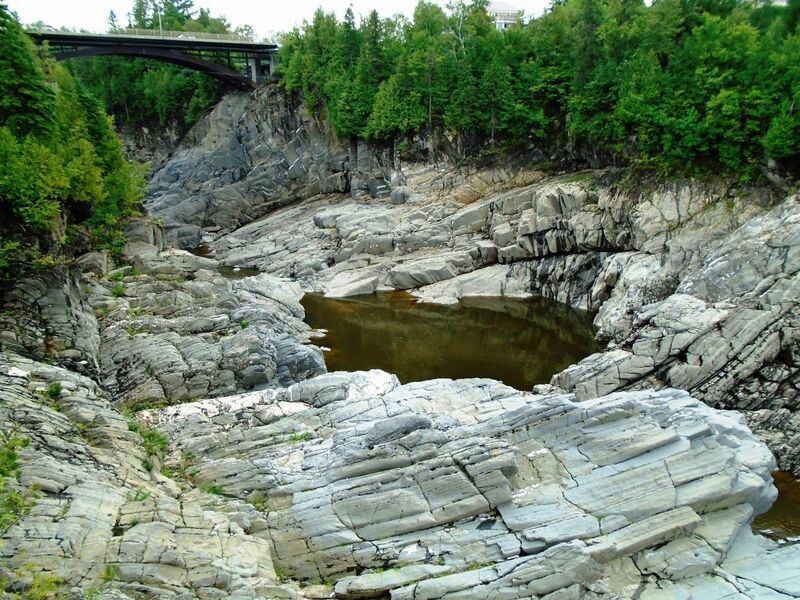 47° 3.022′ N, 67° 44.2′ W. Marker is in Grand Falls, New Brunswick, in Victoria County. Marker is on Broadway Boulevard (New Brunswick Route 130), on the left when traveling north. Touch for map. 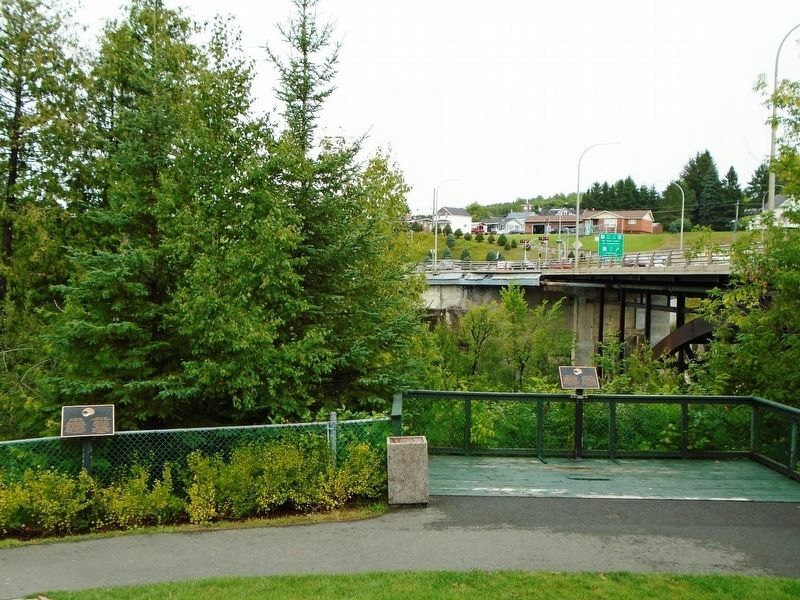 Marker is at a Saint John River overlook, near the south Route 130 Ron Turcotte Bridge approach. Marker is in this post office area: Grand Falls, New Brunswick E3Z 2J7, Canada. Touch for directions.
. O. B. Davis Park and Lovers' Lane (here, next to this marker); A Changing Waterfall / Une chute au debit varie (about 180 meters away, measured in a direct line); German 77mm Gun (about 180 meters away); World War II Memorial (about 180 meters away); World War I Memorial (about 180 meters away); Acadia of the Lands and Forests / l'Acadie des terres et forêts (approx. 0.3 kilometers away); World Wars Memorial (approx. half a kilometer away); Veterans Memorial (approx. half a kilometer away). Touch for a list and map of all markers in Grand Falls. More. Search the internet for Bridges and Piers / Ponts et piliers. Credits. This page was last revised on October 27, 2018. This page originally submitted on October 27, 2018, by William Fischer, Jr. of Scranton, Pennsylvania. This page has been viewed 52 times since then and 5 times this year. Photos: 1, 2, 3, 4. submitted on October 27, 2018, by William Fischer, Jr. of Scranton, Pennsylvania.